If you've ever considered owning a pet, the 3DS game My Pets is a great way to dissuade you. It's not due to the fact that spending time taking care of virtual animals can never truly replicate the warm, fuzzy feelings of a pet's unconditional love. It's that this game highlights a lot of the seedier, dirtier sides of pet ownership. It doesn't help that the game itself is quite a chore. My Pets is not the prettiest game. Like Barbie and her Sisters Puppy Rescue, there's something very unsettling about the pets' eyes. When a game is scant on showcasing adorable personalities of its characters, instead utilizing them solely for mechanical gameplay actions, then you'd at least hope the pets could be cute to offset that lack of personality. They're not horrible to look at, particularly the golden retriever, but they're not exactly adorable creatures either, even with the options to buy silly items to dress them in such as various styles of hats, bows, and glasses. The same can be said of the aesthetics. It's a serviceable game with open areas that try to be as realistic as possible, and in doing so makes the entire thing feel lifeless. Sandy beaches, spacious parks and a great open plan house, which players won't get to explore, are nothing more than tools to host mundane activities. Musically, there's absolutely nothing memorable about it. The core gameplay itself amounts to little more than multitasking to fulfil the needs of your pets. It's exactly as you would think it plays out, with some stylus sliding and touching mini-games by which to perform actions in pet care and training. Your pet has a variety of bars that will need attention. Micro-managing these bars to keep them at maximum capacity involve a series of things to do including feeding them, giving them water, coaxing them to take naps, playing ball or hunting, going for walks or petting them. Each action has a simple mini-game attached. For example, petting means rubbing the stylus across your pet as you would a hand, and opening a can of food to feed your pet means dragging the stylus in a circular, stilted motion to get it done. 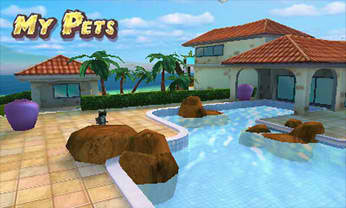 In order to keep meters full to maintain the happiness of your pet, players can go to one of the many stores to stock up on supplies (some items like water and food are standard and are in infinite supply) like ointments, to purchasing deluxe items such as food which may keep your pet's gauges full longer. These stores are a tap away in a menu based setting which, unsurprisingly, is the same for accessing all the activities you can do with your pets. It's a series of instant gratification activities that keep cycling. At times it can feel hard to balance, particularly when you have an extra pet which may require more attention based on its limited personality. For instance one pet could be a quick learner, which means walks may be a breeze to navigate, though they may tire faster. One of the biggest mini-games of My Pets can also be one of the most frustrating and tedious. 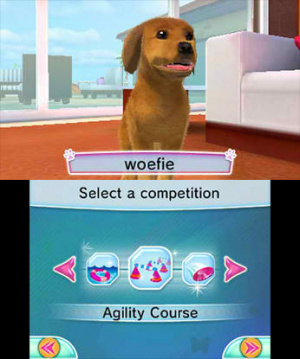 The walking mini-game allows players to take pets on a stroll in a couple of areas which unlock as you progress. It's somewhat hard to control if you have a dog who likes to go off and sniff every item littering the environment. It's annoying to say the least when you move the stylus away from an upcoming area, only to have the game ignore those commands and have the dog go through the motions of sniffing everything it shouldn't. At the very least, there's some silliness to this walking mini-game too, as it's where the bulk of the money and chances to get extra items happens. Going on walks is basically an obstacle course in which you guide your pet away from things it shouldn't bother, while leading it towards designated bathroom break spots, presents and money icons scattered about. It's pretty funny if you think about collecting all that money, and all those items knowing there's no penalty for making you and your pet petty criminals. It's just a game, after all, and this is initially how the bulk of income is derived. It's worth mentioning some more accidental humour, My Pets does not shy away from showing all the grossness that can come with having a pet, and then making mini-games of this fact. Pets are dirty little things. They eat, drink and make a mess. That's when you have to clean your own house with detergent, which makes sense especially as your avatar drops hair all over the house after brushing pets. It's not necessarily pleasant but makes an interesting point about the real care that goes into having a pet. Cleaning and shampooing your living space involves a mini game of vacuuming, sweeping and mopping all the stains, giant dirt balls and dust away. It's here that My Pets is at its ugliest. Maintenance for both you and your pet is a fact of life in owning them, not to mention pricey. Your pet can get sick with fleas, fevers or even depression, and there are ointments, brushes and toys to cure what ails them. It's also rather alarming that these pets get sick so often. 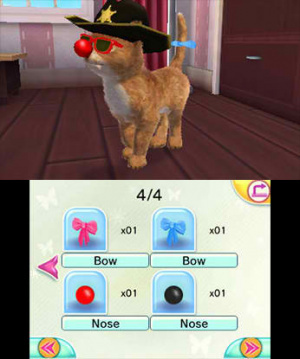 Despite these nonsensical game mechanics, My Pets is just not very compelling, despite its obvious riffing on Nintendogs. Overall it may be okay for short bursts of play, as is intended, but that's really only if you enjoy repetitive actions with no sense of reward or achievement. Mini-games unlock after a series of what feels like busy work to run your pets through the motions of routine care-taking. Some of these modes include being able to teach your pet tricks and compete in competitions, which in itself opens up a new status bar to maintain to bond with your pets. Balancing this bonding with all the other status bars requires attention to keep pets content in every category, more than players may be willing to invest time in. 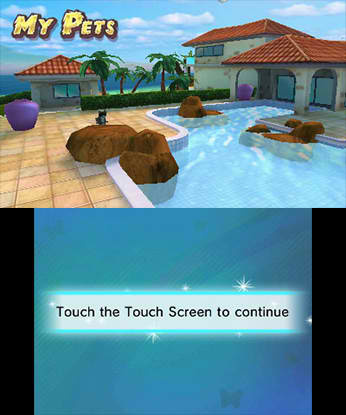 The mini-games which unlock, ultimately, are a series of uncomplicated stylus tapping and sliding commands, with some memorization necessary at times. In competition mode, these commands require some increase in speed and thinking but nothing demanding that would encourage overly skilled reflexes. Ultimately, these modes are not interesting enough to feel like the effort to unlock them is worth it. 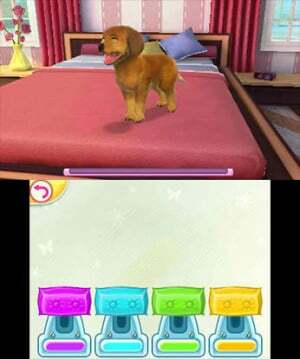 My Pets is exactly the routine tap and slide stylus game players may expect from a genre that asks them to care for furry friends; it's a series of repetitive actions to keep pets happy by juggling multiple mundane tasks. Dull gameplay aside, the pets do nothing to be considered charming critters, which may have helped the game to be a little bit better and more favourably compared with rival titles. Along with its realistic setting, this is more of a chore than actually being fun. I'm linking to this review every time people say they don't play mobile games because they are bad. This and The Letter. The days of Nintendo snobbery are long gone, dead, buried, dug back up and cremated and the ashes molded into amiibo. Why is this game $25?! Shouldn't it be $5? I was guessing from the review that it would be at least a 5/10 for being a little innovative, and that you can take care of more than 1 pet, but then I saw it was $25, and I definitely think that merits taking at least one star off. @rjejr The Letter was a horror masterpiece. @rjejr : There were plenty of crap games on past Nintendo consoles too, but the sheer quantity of crap games on mobile platforms is exponentially greater considering that the mobile storefronts are not regulated at all (hence all the "bootleg" titles that illegally use existing IPs and the countless number of buggy/unplayable games on mobile platforms). It seems that the best games on mobile are years-old ports of console games. I will acknowledge, however, that Nintendo's "seal of quality" is being handed out with far greater leniency this generation. For example, I can't imagine Ninja Pig Studio's games being given the thumbs up last generation (even if Nintendo did allow retail abominations like Elf Bowling and The Sims 2: Pets). 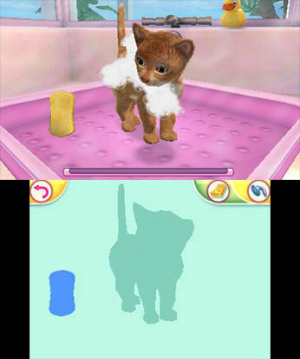 How many of those pet sims (or vet sims - they work similar) we have on 3DS by now...? 20? You know, horses, cats, dogs, dolphins, sharks, dinosaurs and even babies. There have to be at least 5 tittles with horses! And all of the sims are medicore at best. And some are way too expensive for what they are offering. I'm really suprised they are still being published on the platform. ...But I kinda want them to keep comming. Just to see how many of them the eShop can get before it oversaturates. ...And I like playing their demos. No matter which software's demo I played, everything looked and worked almost identical (except some minigames that is (with some not even being related to the game)), with some horrible mesh/anatomy issues on the pets. And I find all of that amusing... Just like I find amusing playing some medicore or bad games on NDS (but those at least are at considerable price). @sillygostly "Nintendo's "seal of quality""
Nice phrase, think I'll use it in the future rather than "snobbery". Wii did have a lot of shovelware, I think there was a $1.99 app that let you make cards but only for Halloween, but it didn't have Frenchy Bird. 1. Nintendo is simply getting w/ the times, and I understand that, but it's hypocrisy to things they said in the past - no mobile, no DLC, no free-to-start. They held themselves up as an elite standard, and disparaged the rest of the gaming community, and now they enter the fray w/o an apology for looking down from their high horses in the past. Changing your mind is ok when faced w/ new information, but you should at least admit you were wrong. 3DS does have better games than mobile, but it also has garbage; mobile has mostly garbage, but it does have some good games. The playing field is leveling. @Barbiegurl777 I love pet games too and I have all 3 nintendogs games. How does this one compare? As in what do you do that's different? Do you think it's worth $25? My son loves it; it's easy to understand and is a lot of fun! I highly recommend this game.